These tiny, succulent champions of the super berry world are carefully handpicked in the Ningxia region of China, notorious for the high quality of Goji Berries they produce, and also the birthplace of the Goji Berry Legend. 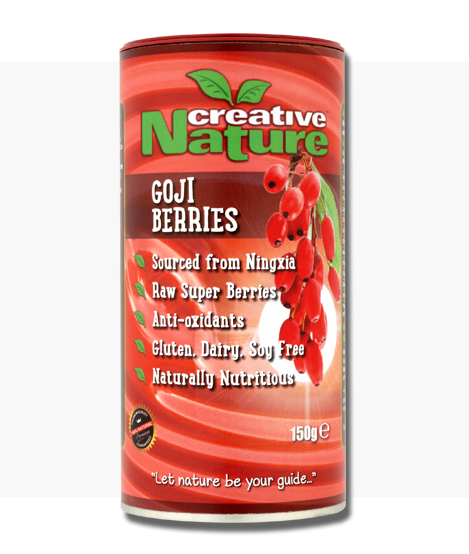 Creative Nature Goji Berries are bright orange-red dried little berries that are a good source of Vitamin C and have one of the highest contents of carotenoids in all known foods. 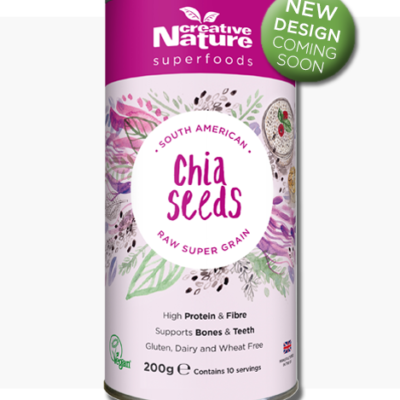 Gluten, Dairy and Wheat free, they are the perfect snack to fill you up between meals and can be a great addition to baked goods, salads, granola, porridge or smoothies! Creative Nature Ningxia Goji Berries have been used in traditional Chinese medicine as they are packed with antioxidants that help protect the body from outside pollutants and stress. 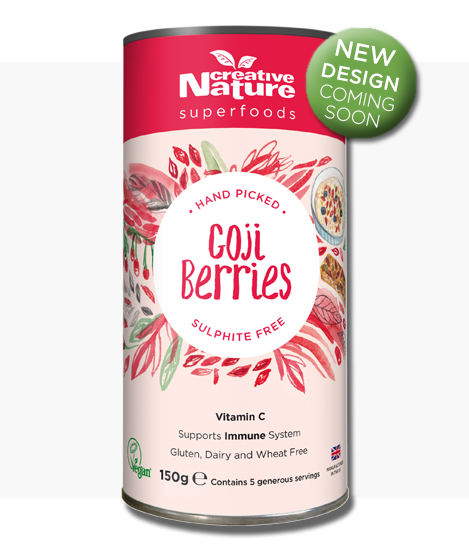 High levels of Vitamin C make these Creative Nature Goji Berries a great choice for anyone aiming to boost their immunity and prevent getting sick in the colder months of the year. They also have high amounts of carotenoids in them, which are plant pigments that can be converted to Vitamin A in the human body. Vitamin A is also important for proper immune function, eye sight and healthy skin. 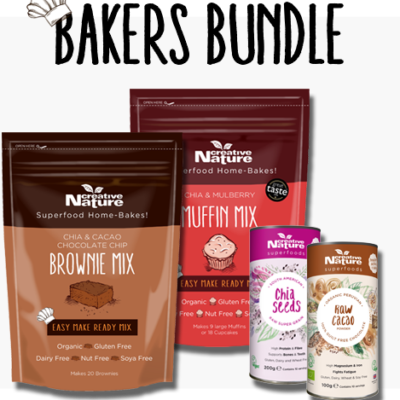 Add Creative Nature Goji Berries to your trail mix, porridge, muffins or pancakes and you’ve got an additional nutrient boost, added delicious flavour and improved immunity! Ingredients: 100% raw goji berries, and that’s all! Our Goji Berries are super easy to use and also very versatile! Perfect mixed with Cacao Nibs for that bitter sweet taste! Sprinkle over salads for a sweet treat! These berries are of the highest quality that I have personally encountered. Very very good for health, energy, libido and so fourth. Thank you creative nature. Highly recommended. I used to use these in my early twenties when I was struck down and bedridden with Chronic Fatigue. Now approximately 10 years later I have a similar illness of lesser intensity I have had to start using them again and have found them to be effective at improving symptoms. These taste so good! 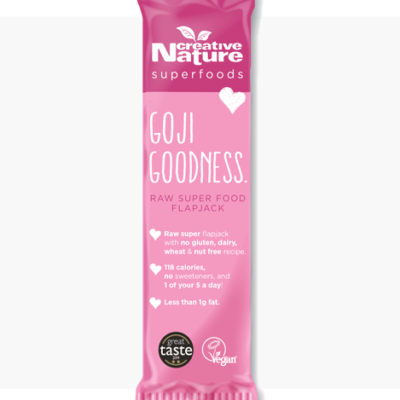 I didnt even think i would like goji berries but they are great in porridge and smoothies! These ones taste juicy too which is so much better! Definitely a good buy!